Indeed, we live in a money-driven society, but what is so special about the vibration of money? Why do we have so much resistance to abundance in the first place? If you ask the majority of people what their next period resolution is, what they would probably answer is: “Love and Abundance.” We’re all in a race to be loved more and to have more. The question is “Where does it all end?”. If you have ever wondered how much is enough, I believe that your mind was taken you into visualizations of absolute security and bliss. Unfortunately, this is not a sustainable reality in this dual world that we have chosen to be a part of. Let’s envision that everything has a direct but opposite vibration that it relates to. This opposition is not a universal counterforce, but a program that our minds were taught to process and manifest. Spiritual teachers have spoken about resisting to life and its wonders. But do we really understand what this resistance is? 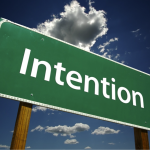 When you are resisting a desire, because the only thoughts and outcomes that we withstand are the ones that matter to us, we infuse a particular intention with doubt. The reality is that we are closer to our goals that we have ever imagined, but what keeps us from meeting our needs is a state of mental confusion and overall lack of faith. Because thought precedes action, what we believe into existence, rather sooner than later, will appear in our reality. 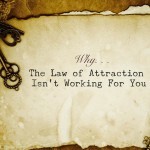 Lately, the buffer time between idea and manifestation has decreased tremendously. We still have the option to change our minds and emotions, thus improving the palpable outcome, as the Universe responds more to an inner calling that the superficial layers of mind. This being the case, if doubt is at the foundation of our lives, what we focus on lacks the power to manifest completely into the Now. Understanding the energetic imprint of the world we live in is essential to make the long-awaited leap into completion and accurate manifestation. “Everything is energy” are not mere words, but a teaching we must align with in order to master our creative skills. We’ve all been given the right of co-creation even before embodying this identity. And the ways we start owning that power and putting it to good use, are related to our free-will. 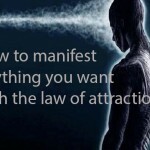 Every little or big thing you come in contact with represents a vibration. Sadness, glory, success, vanity or tragedy are potentials we are all juggling with. Consciously and unconsciously, we use each moment to decide which form of immediate future we are calling upon us. Let’s take the vibration of money, for example. There is a massive collective resistance to financial abundance, as we were lead to believe that money doesn’t grow on trees, that money comes through a significant amount of effort. Even worse, some of us still struggle with the belief that money is evil. It doesn’t matter why the vibration of money was besmeared in such a way, the important thing is realizing what unconscious aspect we associate with money and then work towards purifying this vibration. Here isto welcome abundance into your life. This system can be used in relation to anything you would like to move towards. Meditate on money. Sit silently in a simple meditation pose and think about it. Ask your mind to show you the real imagine you associate with money. When I have first done this exercise, I realized that I saw money as an inebriated, mentally unstable and overly distracted dark fallen-angel looking young woman, that emanated a broken sexuality and the smell of cigars. I was a bit conflicted as I had no clue that I was unknowingly perpetuating this image in my head. I understood that I couldn’t open myself to receiving a vibration that I dislike. After you find out the thing or person you associate money with, breathe deeply and start consciously changing that image. What I did was adding elements I felt comfortable with to the initial picture. So I visualized the dark young woman into a green valley, surrounded by flowers and flowing water. I imagined a clear sky above her and the Sun cleansing her mental state and appearance. I replaced the smell of cigars with rose or water-lily scents. I sat down in my vision with the young woman; I just sat there and watched her. I moved in her direction for as long as it felt comfortable. When I felt I had had too much, I stopped. I recommend you start with this practice. For best results, you can take at least 5 minutes daily and do this exercise. If it becomes overwhelming, you can gently pause the meditation and give yourself some space. If you don’t feel like doing this every day, follow your intuition and create your own routine. What happened today that triggered me into feeling like this? What did my caregivers or parents think about money? What was I told as I child about money? What does having money mean to me? Do I think that I will never have money? If the answer is “Yes”, please elaborate. If the answer is “No”, elaborate. What are the feelings that I associate with money? Am I worthy of having money? If the answer is “Yes”, expand the answer. If the answer is “No”, please expand the answer. After you have finished, read what you wrote and detach from the first person. Imagine that you were reading someone else’s words. What beliefs appear in your journal entry? Is the way you feel towards money a learned behavior? Whenever you feel worried about the future, and you experience anxiety or disempowerment building up, take a deep breath in and repeat this mantra: “I am abundance”. Consciously replace the fearful thoughts with positive affirmations and intentions. Stop comparing what you have with what others have. Work on yourself without feeding ambition and ego. Just move towards becoming the best version of yourself that you can be today. 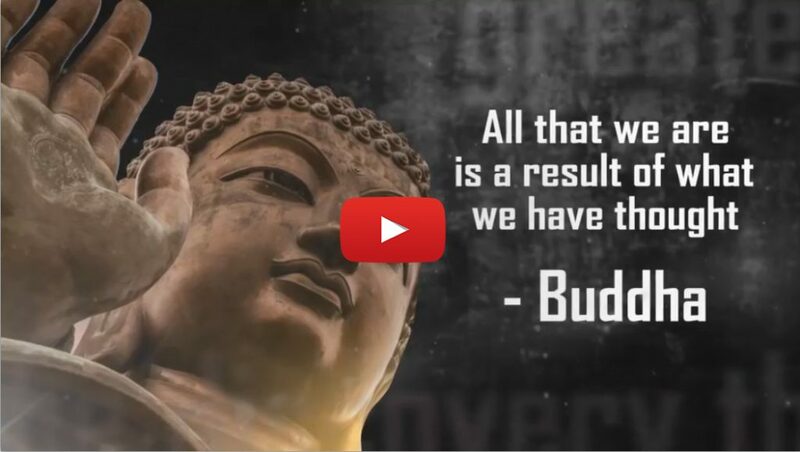 If and when you experience episodes of greed, practice taking a step back from it. You can acknowledge what you are dealing with but refrain from giving this state too much power. Just return to your body and accept that healing comes through seeing. And seeing within is the best thing you can do to welcome a profound transformation in your life. Spend some time in nature and observe the richness that surrounds you. Nature is rich and generous because it doesn’t imagine itself being in another way. It is rich as it knows the true meaning of giving, as it encompasses the circles of growth and decay. Learn from nature and wildlife that circulating energy is a must and if you are facing a material loss at this time, it is only a phase that prepares you for something different. Practice gratitude. Start with the small things. Notice the texture of your favorite piece of clothing, mindfully touch the smoothness of your pet’s fur; be thankful you can drink your tea today and be thankful for all the little things we sometimes take for granted – such as the sun rising or the rain falling down. 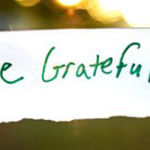 Gratitude opens the space of your heart to receiving bliss and abundance. If you want to achieve anything in life, work on your self-worth and systems of beliefs. 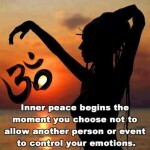 Move towards openness and learn how to gracefully embrace what comes your way. Pain and scarcity are only an option, a space of stagnation that you are breaking free from as we speak. What is your current relationship to money? 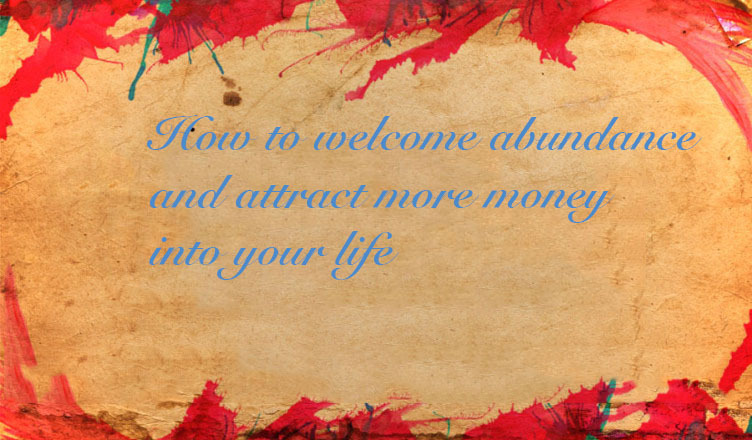 Be the first to comment on "How to welcome abundance and attract more money into your life"